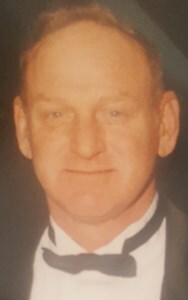 Joseph E. Towndrow, 76, of Brewerton, passed away on Saturday at Crouse Hospital. He was born in Syracuse on April 28, 1942, son of the late Joseph and Gertrude (Barkley) Towndrow. Joseph was an X-Ray Aide at Upstate University Hospital. He also worked at EXEL Aluminum as a window installer. He served in the US Navy from 1960-64. Joe was an avid rodeo fan. Joseph is survived by his wife, Sandra K. Moore, daughter, Tammy (John) Serrao, son, Robert (Allyson) Towndrow, son, Carl Towndrow, along with numerous foster children, his siblings; Kate, Lula, Irene, Raymond, grandchildren; Jennifer, Erin, John, Jr., Nicole & Nick, great grandchildren; Caiden & Blake. Visitation will be held on Thursday, February 14 from 4-7pm at New Comer Cremations & Funerals, 705 North Main, North Syracuse. Funeral services will be held on Friday, the 15th at 10 am at the funeral home. Burial will take place in Pine Plains Cemetery in Clay. In lieu of flowers, donations may be made to the American Heart Association or to the American Cancer Society. To share a memory of Joseph, or leave a special message for the family, please click the Share Memories button above. Add your memories to the guest book of Joseph Towndrow. So sorry to hear of Joe's passing. It's been a very long time since we've touched base. But we have thought of you both often, especially when we sit on our porch and think of the job you and Joe did on our beautiful bay window and porch enclosure. plus lots of memories working together at Upstate. May you be at peace knowing you did everything you could to make his days happy in your loving relationship.God bless Joe and Bless you, as you go through this very sad time of your life. May your memories of your time with Joe get you through this difficult time. He will always be with you in your heart. You each are in our prayers during this difficult time. God Bless you all. Please accept my sincere condolences on your lost. The last time I saw Uncle Joe was at Grandpa Joe's wake which I believe was 40 years ago. My condolences to his wife and his children I apologize but I only remember Carl. My dad Chuck was his older brother. To Kate, Lula, Irene, Raymond as well as Uncle Joe's wife and family, may God bless and keep you in his hands. Take comfort knowing he is in the Lords hands!